[CLZ News] Coming up: Automatic CLZ Cloud Syncing! 2018 is coming closer, which means: version 18 is coming up! First, for the Windows editions (early December), then for all Mac editions (early January). For both, the main attraction will be: Automatic CLZ Cloud syncing! Full details below. Nowadays, most CLZ projects are related to Core, Cloud and Connect, so it’s about time we extended our web-dev team. This month we welcomed two new junior web-developers, Eline and Joe, which brings the CLZ team to 12 people! A perfect example of a huge web project, completed this month: CLZ Cloud syncing of your track lists, of course resulting in updates of all our music cataloging tools, for desktop, mobile and web. 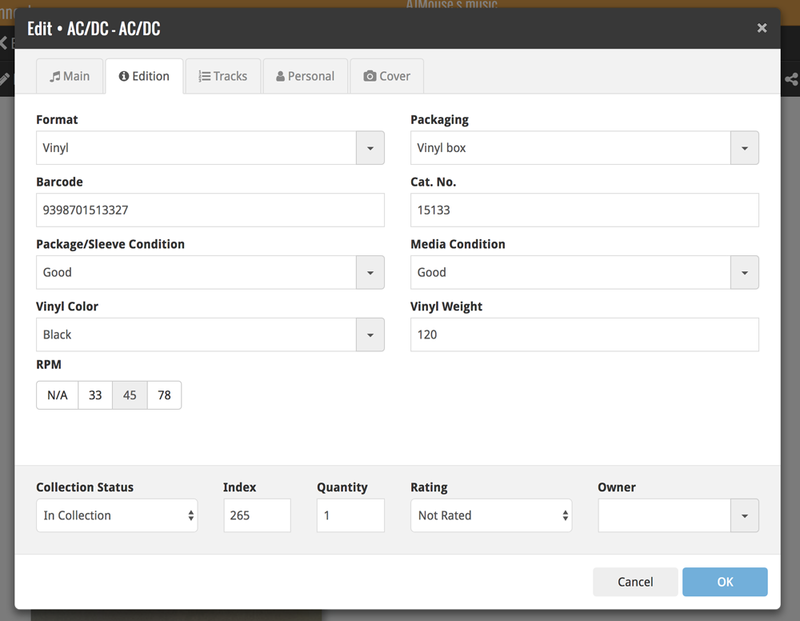 If you’re using Music Collector and CLZ Music, these are must-have updates! Music Collector + CLZ Music: Cloud Sync your own track lists! Movie Collector for Mac: more improvements to Add Automatically screen. [CLZ News] We’re on a roll, lots of releases coming up! Movie Collector 16.4 (PC) / 16.1 (Mac): a quicker way to add movies by title. CLZ Books 4.3 for Android: a new “Material” look, plus Light and Dark skins. Coming up for iOS: complete re-design/re-build of the Add from Core screen. At the CLZ HQ, we are in the middle of the holiday season. Most CLZ team members are having a few weeks off these months, one after the other mostly. However, with a bit of planning, we’re still managing to make good progress in all areas. These days, the focus is on mobile (iOS and Android) and on the new “Search As You Type” for movie title searches. So not surprisingly, these are the main topics for today. Next to that, I am introducing a new recurring newsletter section: The FAQ’s this month. Now live, v4.2 for Android and iOS: Manage Pick Lists, Edit SortNames and more. 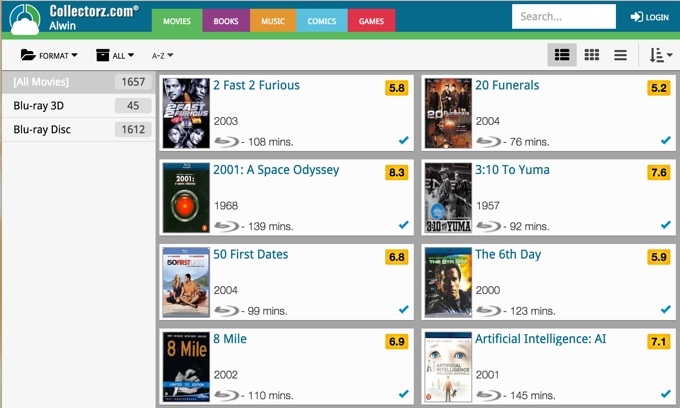 Try it live now: Search-as-you-type suggestions for movie titles. All our software editions (online, desktop and mobile) revolve around two important online services: CLZ Core and CLZ Cloud. Which means that many new software features start with months and months of preparation by our web-development team. Now live: v16.3 for all Windows versions, with Skins and a Quick Filter Panel. Coming up: Manage Pick Lists screen for all mobile apps. Preparing: Track list editing and syncing for CLZ Music and Music Connect. Preparing: Search-as-you-type in all Add screens. [CLZ News] What’s live? What’s cooking? CLZ Alwin here, with the CLZ News for May 2016. A nice feature update for iOS, but some technical difficulties on Android, causing delays in getting the same features out for droid fans. (we did add the requested No-Limits packs for both though!). An improved Core search engine for movies (now live in all movie editions), but further delays in launching the new v16.3 versions for Windows. 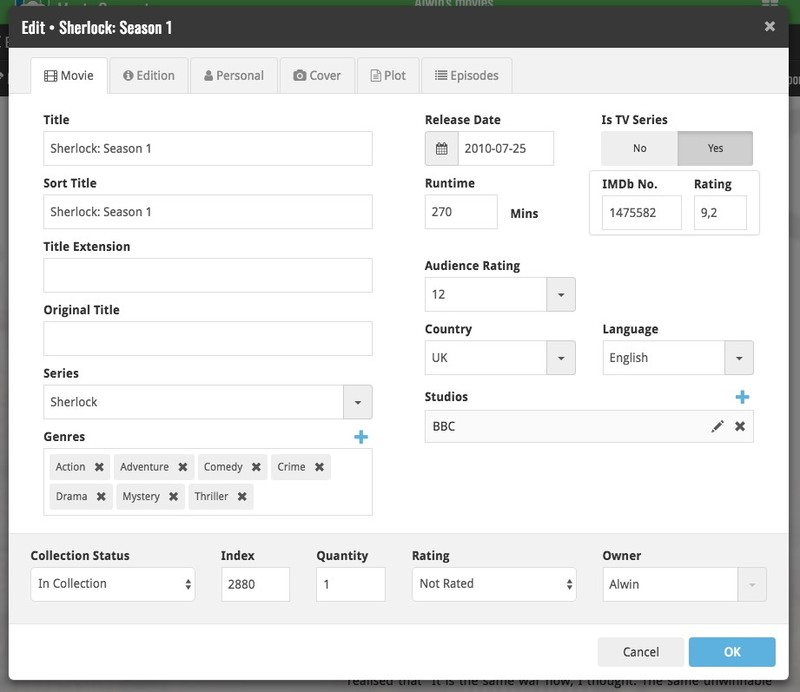 Live: Better Add By Title searches for movies. Live: Easier editing and Field Defaults for the iOS apps. Live: new “No Limits” purchase option for all iOS and Android apps. Cooking: Quick Filter panel + Light vs Dark Skin options for the Windows programs. This is Alwin, of Collectorz.com, with this month’s CLZ Newsletter. iOS apps: Field Defaults screen + Re-designed Edit screens. Android apps: new folder options. Core : improved “Add by Title” searches for all editions. [CLZ News] V4 apps for Android / What’s cooking ? This is Alwin, bringing your the CLZ News for March 2016. This month, something extraordinary happened, something rarely seen in the software world: We finished a project 1 month earlier than planned! (the v4 apps for Android). Five v4.0 updates for Android, now free to try. What’s cooking for iOS and Android? [CLZ News] Fourteen big updates for iOS, Mac and Windows now available! This is Alwin, of Collectorz.com. In this Feb 2016 newsletter, I have news for you about 14 (!!!) new software versions! Five v4.0 updates for iPhone/iPad, finally live (phew…). Four v16.0 updates for Mac, with a Card View, a new clean-up tool, better backups, etc..
Five v16.2 updates for Windows, also bringing the new Card View. Welcome to the first 2016 CLZ Newsletter! I (Alwin) and the rest of the CLZ Team are already well underway to make 2016 into a great year, with lots going on for all our online, desktop and mobile editions! At this very moment, Ronald is working on 16.1 versions for all Windows programs, which will bring an extra new view for the main screen, ETA early March. At the same time, Patrick is working on the same feature for the Mac OS X editions, to be released in the v16.0 updates, also planned for launch early March. While Ronald and Patrick are working on future updates of the desktop software, our mobile dudes Pim and AJ are generating serious action on the mobile front. Wait, a CLZ Newsletter this early in the month? Yep, because this week we’re celebrating our 15th anniversary! As some of you know, I (Alwin) had been working on Music Collector in my spare time since 1996. But in December 2000, I quit my day job, founded the Collectorz.com company and finally got to work on the Collectorz products full-time! Coming up: version 16 for PC & Mac, aka QuickSilver! Version 16 aka QuickSilver for Windows and Mac OS X.
CLZ Movies 4.0 for iOS. New CLZ.com website, the home of our mobile apps. 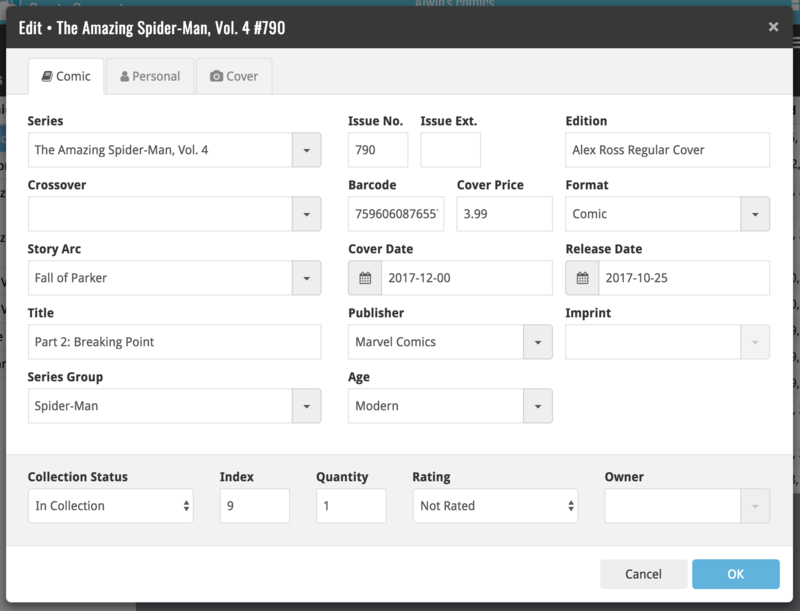 CLZ Server Upgrades: Faster title searches and image downloads. [CLZ News] What’s cooking for the holiday season? It’s the end of October, so the busiest months in the cataloging world are coming up. As usual, we have lots of cool stuff planned for December and January: big updates for desktop and mobile, server upgrades, maybe even a Sale. This is Alwin, with your monthly dose of CLZ news. And it’s a big dose this time. Five 15.4 updates for Windows, with re-designed Field Selection screens. Three 15.4 updates for Mac, with a more intuitive behaviour of the main screen. 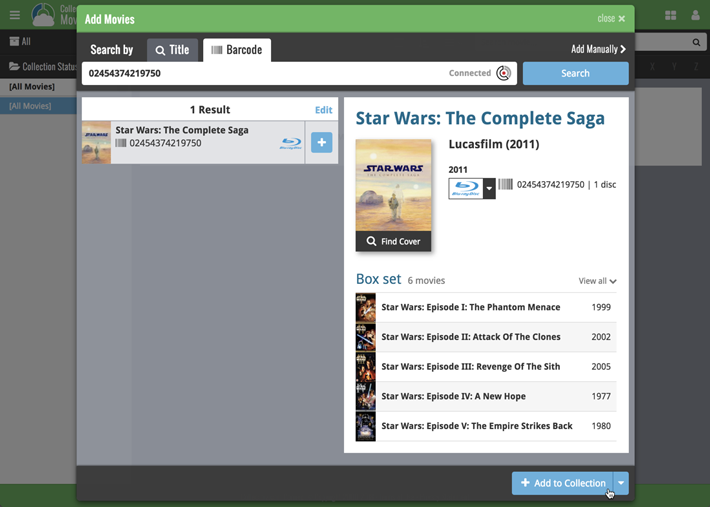 Updates to all movie-related tools, now syncing more fields to cloud and mobile. Server upgrades: super-fast downloads for desktop software updates. Movie/Game Collector 15.5.2: now uses HTML5 trailer player to fix Flash-problems. When you login to your CLZ Account at my.clz.com you’ll find new boxes for the iOS and Android apps, with a black checkmark shown for the apps you own (for now, this excludes CLZ Barry, sorry). [CLZ News] What else is the CLZ Team working on? Alwin here, with the CLZ Newsletter for August 2015. Music and Book Collector: Alphabet Bar can now also be used on Title field. All PC & Mac programs: New “Ignore Sort Title / Ignore Sort Names” settings. So I am taking this opportunity to tell you about all the other stuff the 11 members of the CLZ Team are working on “behind the scenes”. Is your CLZ Cloud visible yet? Here’s how. Welcome to the May 2015 edition of the Collectorz.com Newsletter. 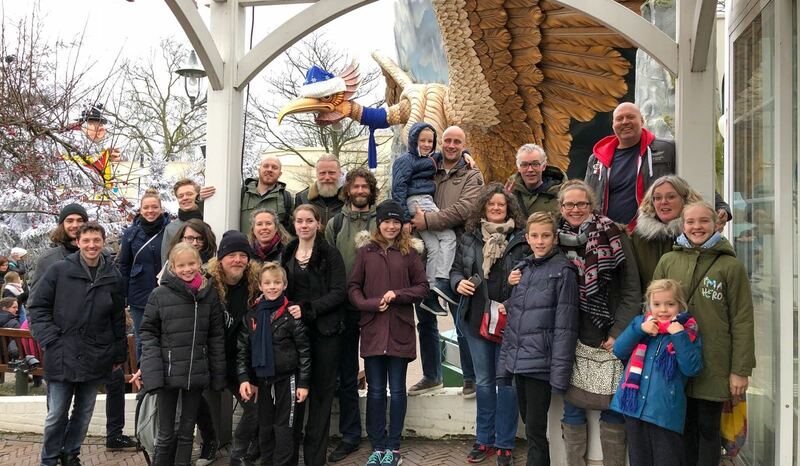 This is CLZ Alwin, with a summary of last months happenings and an important tip for getting the most out of your free CLZ Cloud service: Make it visible! 5 v15 versions for Windows, 4 v15’s for Mac, 5 v3 apps for iOS (and 5 Android v3’s coming up). So what’s new in all these updates? What have we been working on all this time? Welcome to the March 2015 edition of the CLZ Newsletter. First, a progress update on the new Cloud Syncing 2.0 system and the accompanying v15 updates for PC/Mac and v3 releases of the mobile apps. Then, news about our continuing improvements to Connect and the free Cloud viewers. Last but not least, I’ll tell you about our current work on our Core online movie database.